This book is about power in a changing world economy. Though power is ubiquitous in the study of International Political Economy, the concept is underdeveloped in formal theoretical terms. This collection of essays analyses recent experience in East Asia to advance our theoretic understanding of state power in IPE. Over the last quarter century, no other region of the world has had a greater impact on the global distribution of economic resources and capabilities. China, with its "peaceful rise," now stands as the second largest national economy on the face of the earth; South Korea and Taiwan have become industrial powerhouses; Hong Kong and Singapore are among the world’s most important financial centres; and new poles of growth have emerged in several southeast Asian countries – all while Japan, long the region’s dominant market, has slipped into seemingly irreversible decline. The volume’s nine essays, contributed by leading scholars in the United States, Britain and Taiwan, aim to extract relevant inferences and insights from these developments for the study of state power. All are framed by a core agenda encompassing four key clusters of questions concerning the meaning, sources, uses, and limits of power. 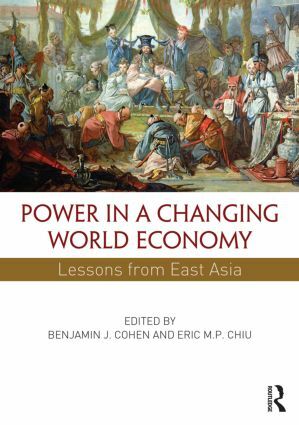 These essays ask: What new lessons are offered for power analysis in International Political Economy?